Let’s see, one I’m currently listening to, one I’m currently reading, and the third recently catapulted itself to the top of the TBR pile. 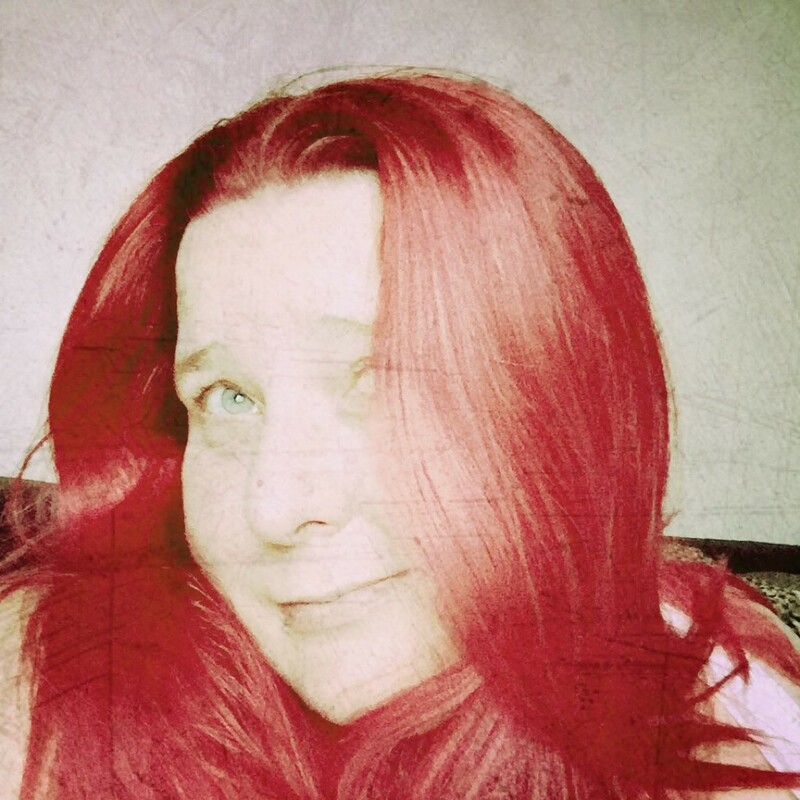 The ubiquitous end of year wrap up. Well that’s 2014 over, and what an amazing year that was! Of course the highlight for me will always be my now fiancé proposing to me at the end of a panel during this years Theakston’s Old Peculier Crime Writing Festival, Harrogate. He couldn’t have chosen a more fitting venue and I will be eternally grateful to the 2014 festival chair Steve Mosby, and the rest of the festival planning committee for helping to make this happen. Not only that but, I’ve also got the good fortune of being able to re-live the moment whenever I want, as the download of the panel itself (In Space, No One Can Hear You Scream) is available to buy from the festival website and the recording has his proposal (although not my squeaked out answer) on the end of it. That £3 purchase was definitely one of my best of the year! That was closely followed by appearing with friend and crimesquad.com editor Chris Simmons on this year’s ITV3 Specsavers Crime Thriller Club TV show. Not only did we have two fabulous days out in ‘that London’, meeting new and interesting people, catching up with author friends and laughing with Bradley Walsh, we also WON. I have read several highly accomplished debut novels this year, but this is one that sticks in my mind. Homicide Detective Elouise Norton is someone I’m keen to hear more about. Tough and driven, yet at times insecure. With a fascinating setting on the ever changing border of a gentrifying Los Angeles, it’s a great debut. “To everyone else in this carriage I must look normal; I’m doing exactly what they do: commuting to work, making appointments, ticking things off lists. Not published until Jan 15th 2015, I am jealous that so many of you have such a fabulous book yet to read and experience. I urge you all to grab it as soon as it comes out, as I guarantee it’s going to cause quite a stir. 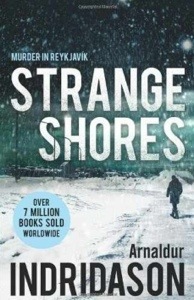 In a distinct change of direction to the race against time thriller, Mitchell has produced a gripping read, with cracking characters, storylines and a great deal of style this series could really see her giving Simon Kernick a run for his money. 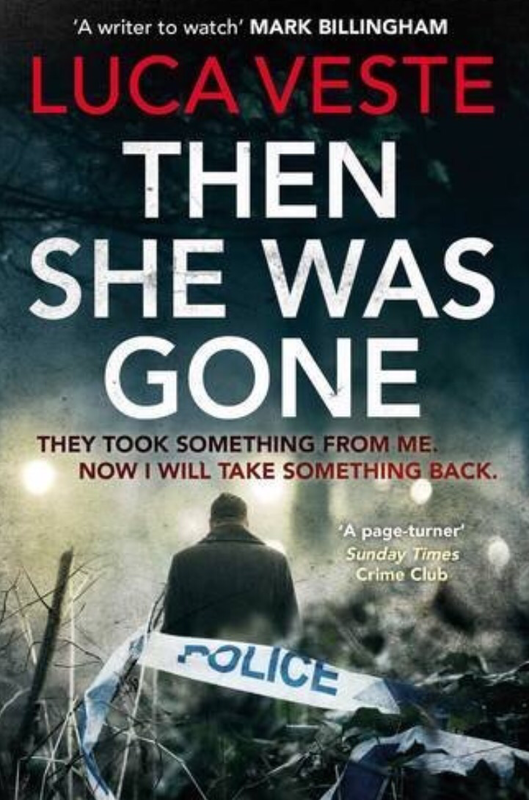 The fourth and latest of Oswald’s books featuring Detective Inspector Tony McLean. 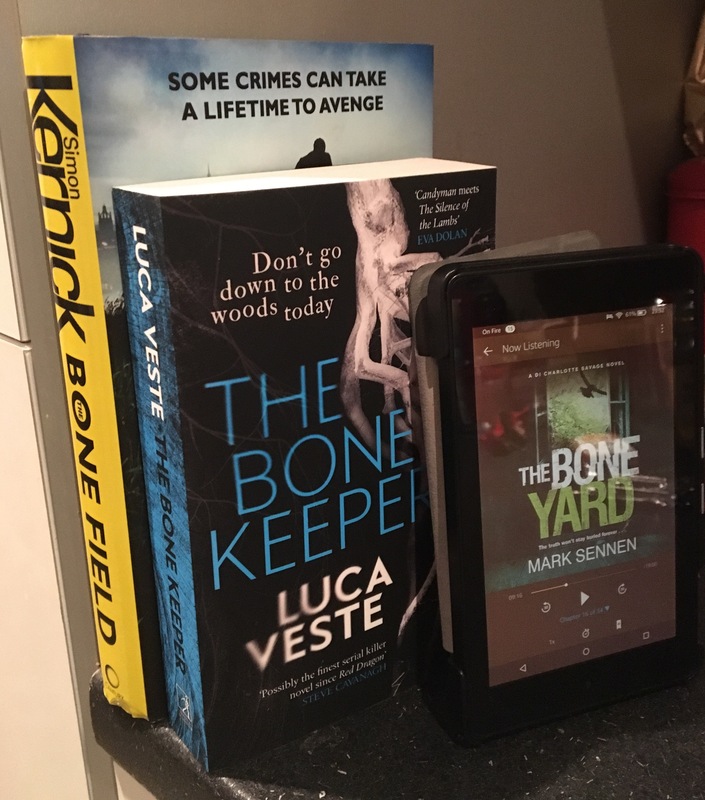 With its supernatural twists on the standard police procedural, this is one series that just gets better and better with Dead Men’s Bones proving to be the best yet. Dark, chilling and impeccably plotted, it’s an interesting insight into the secrets that lurk behind closed doors, how little notice we all take of the world around us and asks the question just how well do we ever really know our friends and neighbours? These few aside there a are plenty more delightful, intriguing and thrilling books out there, and many of those that are currently featuring on an awful lot of top 10 lists this year are staring at me mournfully from my on the verge of collapse to be read pile. I’m looking forward to being able to sit down and catch up with just a few of them over the coming months. My end of year tally for books read came to a grand total of 123 missing out by more that I would have liked, on beating last years total of 130, so I’ll be going all out to exceed both of these numbers next year. Here’s looking forward to and wishing you all a fabulous, book filled 2015. DI Murphy and DS Rossi discover the body of known troublemaker Dean Hughes, dumped on the steps of St Mary’s Church in West Derby, Liverpool. His body is covered with the unmistakable marks of torture. As they hunt for the killer, they discover a worrying pattern. Other teenagers, all young delinquents, have been disappearing without a trace. Who is clearing the streets of Liverpool? Where are the other missing boys being held? And can Murphy and Rossi find them before they meet the same fate as Dean? We all know about them, have seen the stories, listened to the news and watched them gather. Some of us have been on the receiving end of their actions. The ‘feral youths’, the lost and disenfranchised children society doesn’t have any time for. We’ve all judged them, silently, passively, perhaps vocally. But who are we to judge? 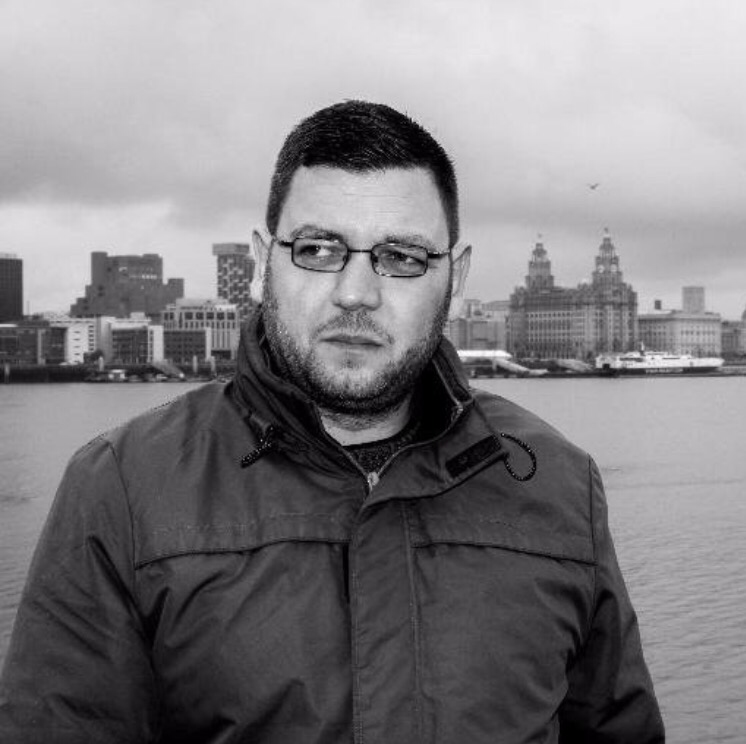 The Dying Place is the second outing for Detective Inspector David Murphy and DS Laura Rossi and maintains the dark undertones of Dead Gone with the pair searching for a vigilante cleansing Liverpool’s youth community. Murphy, still scarred from his run in with a serial killer is walking a fine line trying to keep his marriage together when the first body is found. As the body count increases the tension ratchets up rapidly and when a policeman is shot in the line of duty, Murphy knows he must do all he can to catch this killer before more people die. What follows is a trail of violence and a shocking final showdown that left me with quite a lump in my throat. The Dying Place is superbly written and will have you asking moral questions not just of the characters, but of yourself. It also succeeds in keeping you guessing as to the real identity of the villain before it is revealed and ensures you want to do nothing more than keep turning those pages until the story plays out. You see what I did there? Top Five & Top Ten book lists are great don’t get me wrong, but what happens if I can think of six standout books of the year or can only get up to say four, or nine? and how do I say one is so much better than the other that it deserves to be No 1 and the other No 5? So here in no particular order and of no significant number are the books I read this year that have left enough of an impression on me that I consistently recommend them to anyone who asks what they should read. 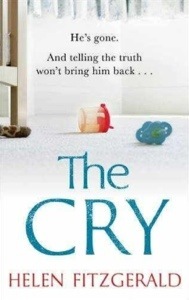 To paraphrase an old catchphrase when it comes to The Cry, “Ignore what it says on the tin.” I’ve recommended this book to a lot of people, even lending my own copy out several times. Most have read the synopsis on the back and said “it’s not for me.” To them all I have said one thing, “trust me, just read the first few chapters…” It’s all I’ve ever needed to say. The book has been devoured and enjoyed by everyone. It’s one of those times when the old adage rings perfectly true. 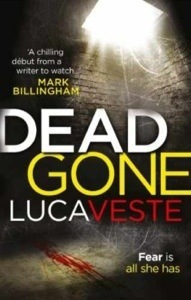 I was privileged enough to be given a copy of Dead Gone by Luca back in July and whilst the paperback isn’t out until next year, the e-book is already available so I’m personally classing it as a book of 2013. Don’t be surprised however to see this touted around everywhere next year as a ‘book of 2014.’ Expect to hear it talked about a lot, it is simply that good. If this is the only Indridason book you ever read you’ll be disappointed, not at the book per se as it’s a decent standalone but at the fact I recommended it. The reason for that is simple, this is a book for hardened Indridason fans, only if you’ve followed this series from the beginning can you appreciate it in its fullness for its completion of a story. Compare it to being a devoted fan of Agatha Christie’s Hercule Poirot then finally reading ‘Curtain‘ and you’ll have an inkling at just how great this book really is. 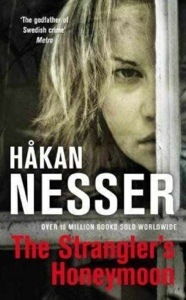 Apparently The Stranglers Honeymoon is book nine of ten Inspector Van Veeteran books and the latest translated into English. I say apparently, because I’d never read one before. The good point is I really didn’t need to have read them to enjoy this. The better point? 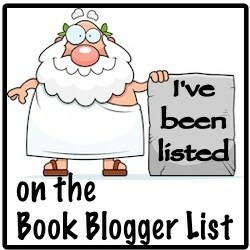 I’m now in the middle of sourcing the other eight. DI David Murphy is a haunted man with a tragic past, out to prove his worth. After being given what appears to be a straightforward murder enquiry, with the help of DS Laura Rossi he sets out to do just that. What they discover is a shocking tale of psychological experimentation, drugs, kidnap, torture and the deranged outlook of an enquiring and evil mind. Dead Gone truly is a dark and disturbing novel, and an amazing debut. From the moment you pick it up it draws you in, and as you progress, every turn of the page becomes more eager than the one before. Full of twists in the tale, it’s well constructed, will keep you guessing all the way through, and leave a lasting impression once you reach the end. I personally devoured this book in just a couple of sittings, as I genuinely struggled to put it down. Not helpful if you have chores to do or if you’re supposed to pick the kids up from school, but everything you want from a good book.